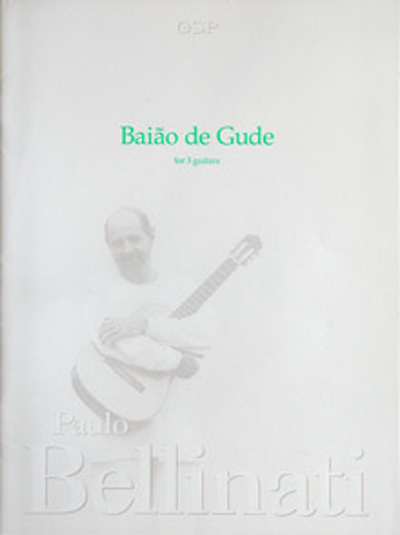 Baiao de Gude is a "baiao" (see Fole Nordestino comments) originally written for soprano sax and instrumental ensemble (guitar, piano, bass, and drums). In 1989 Bellinati wrote the three-guitar version and recorded the piece on his CD "Guitares du Brasil" playing the three guitars in overdub. In 1994 the composer wrote the four guitars version which is dedicated to the Brazilian guitar quartet Quaternaglia who recorded the piece on their CD "Forrobodo" (Carmo-ECM Records). The Los Angeles Guitar Quartet also recorded Baiao de Gude on his CD "Air & Ground" (Sony Classical).